Our team has been managing our clients' exit strategies for over five year, purely in the freight and logistics sector. We operate a proven, step by step process to simplify the work involved in selling your business. • We meet with you to understand your business, the journey you’ve taken to get to where you are and where you’d like to take the business. • How an acquisition would complement your existing operation and building search criteria. • Set-out clearly defined timescales for each project and what will be delivered. • Utilising our industry network and established relationships we are able to conduct a proactive, targeted search of the industry to find companies that meet your requirements. • Identifying a number of initial prospective target companies and initiating dialogue, introducing the opportunity. • Collate a shortlist of prospects with which to meet and continue discussions. • Attending meetings with you as and where required to establish the suitability of a prospective target in respect of meeting your acquisition criteria. • Assistance with obtaining and reviewing key financial and operational information. • Setting out a clear, attainable goal in respect of doing a deal. • Assistance with the preparing of any initial offer documents including LOIs and Heads of Terms. 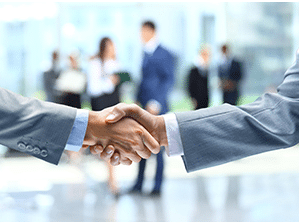 • We help negotiate the commercial aspects of a transaction, acting as a mediator between parties to ensure a smooth deal process. • Due diligence preparation and assistance. • Liaising and coordinating outside advisors (financial and legal) where required. • Keeping the momentum with single or multiple deals for our buy-side clients to move towards a completion. For most company owners, selling their business is the most important financial transaction of their life. To meet the challenge of getting a fair price for a business, whilst simultaneously finding a buyer who our clients want to work with, we have developed a proactive approach to selling a business that connects buyers with sellers with the best synergies. Freight Mergers have been managing our clients exit strategies for over five years within the freight and logistics sector. When we started out this was the primary function and service provided to shareholders wanting to sell their businesses, and it is an area we understand in great depth. Every business is individual and unique. It will have its own history, stories and successes and with that identity it will have shareholders with their own retirement and exit aspirations. Owners who have spent many years building not only their experience and reputation within the industry but have also been building their businesses along with it. For many, their businesses are very much an extension of who they are, their culture, staff and customers are what makes them tick. Our aim is to understand that and deliver a suitable strategy. It’s through this understanding that we are able to find prospective buyers that match those aspects of our clients’ businesses and therefore produce a successful and smooth exit process. Having built a global database over more than 10 years within the freight and logistics sector beginning with recruitment and refining those contacts through meeting and communication, over time Freight Mergers have built an unparalleled network within the industry. Utilising this network, and more importantly our knowledge of this network, the consultants at Freight Mergers are able to source the buyers who are best positioned to purchase our client’s businesses. Interested in planning your exit strategy?